Once in a while, you might caught at a computer, updating your blog maybe, and you need to edit your pictures. Some would suggest a portable image editor in your pendrive. 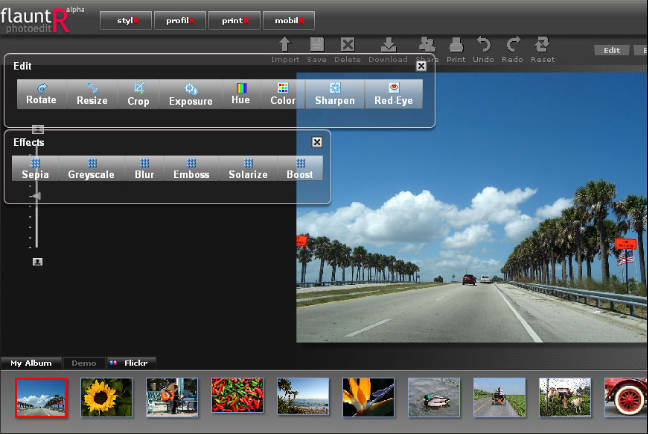 Another alternative would be online/web-based image editor. One that you could try is rsizr. It will immediately prompt you to open a image file to edit. You can easily resize and crop any image file you uploaded. Rsizr use a special technique to keep the quality of the image edited. You may experience image quality loss, blurred text after resize, but not with rsizr. I have tried rsizr with 800 x 600 image, it resizes the image from 191kb to 121kb. After editing, the image can be save directly to your computer, or to your ImageShack account. Just found this cool website, BigHugeLabs. You can create a custom badge, motivation poster, movie poster, calendar, and so much more with your own image. One important feature is, you can use any image of your own, either upload it, or import it directly from you flickr or photobucket account. Just found this useful tool, once installed, it will create a new drive named “GMail Drive”. You can store your files in the drive, that actually store it in your gmail account space. Gmail Drive will actually send an email to yourself, with the files added to Gmail Drive to yourself. Gmail Drive will login to your gmail account, and perform search function to sort the files viewed in the drive. You may want to make a filter, for emails with prefix “GMAILFS” to moved to your archived mail folder. Bare in mind, Gmail Drive will break if Google changes its new system. The developer might provides and update with new system. So, dont panic if the tool breaks, and don’t highly depends on the drive. Previously I have posted about batch image resizing, in Windows, using a Window tool, Portable Batch Image Resizer. Currently now I’m using Fedora, and I need a tool to automatically resize all my images for uploading. The command will resize all file with extension JPG in that particular folder to 800px width and keep the image aspect ratio. You can also change it or put it with exclamation mark, to resize it to that particular size. mogrify is tool comes with ImageMagic. Install ImageMagic, and you’re ready to go. There was an article I found in my surfing time about viruses, from PcWorld, Google Binary Search help Identify Malware. Google have a little-known capability to search binaries, that will be useful to search malware and virus binaries across the internet. This google hacks have been implemented by metasploit research team, to provide a good interface and signature database of viruses and malwares. The malware search interface is accessible at http://www.metasploit.com/research/misc/mwsearch/. In the project information, there are description on how it works, and they also provides ruby script to generate signatures, search for binaries from the signatures and also to download them, basically just wget it. The installation I did on Fedora works just smooth, installed ruby 1.8.6, ruby-google and also soap4r. ruby-google connects to Google API using SOAP, therefore I have to install Soap4r first, then ruby-google. Just installed conky on my fedora desktop. My fedora itself took some time to be installed, as I’m having problem with harddisk recognition, I’m having 2 harddisk. Now its booting Fedora Core 7. I just need a good workspace, and conky have add up some spice to it. 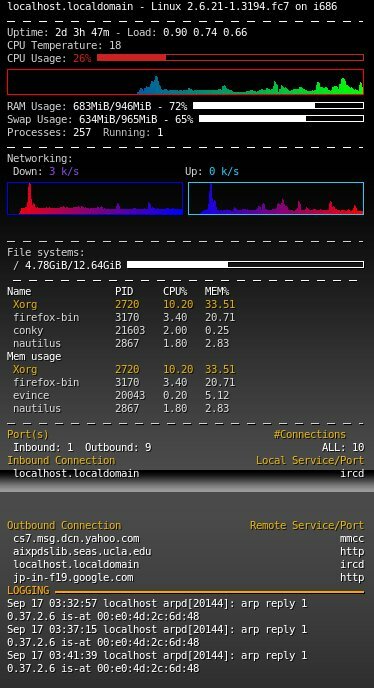 Conky, a lightweight system monitor. It will display system monitor on your desktop. You can customize it, what you want to see most. Most sample configuration I found have what I need. I dont have much time to go into customizing my own config file, just copied from others. I’m using this config file, .conkyrc. I grab it from cstamper blog. You can see there’s more .conkyrc config file sample from conky official website. Its a good start for your own custom configuration script. What a perfect day.. 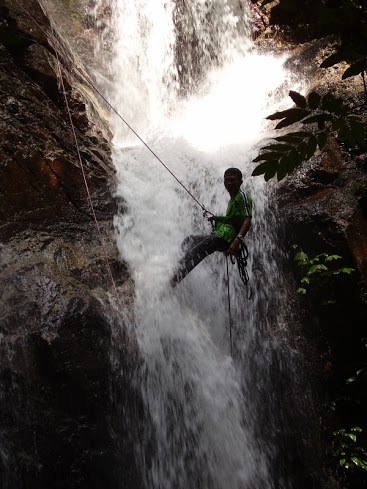 I got an offer to handle canyoneering at Sungai Pisang, Jalan Gombak, handling around 25 students, I forgot from where.. The rope installation take a few minutes, and after all of them took breakfast, everyone tried canyoneering, at the waterfall. 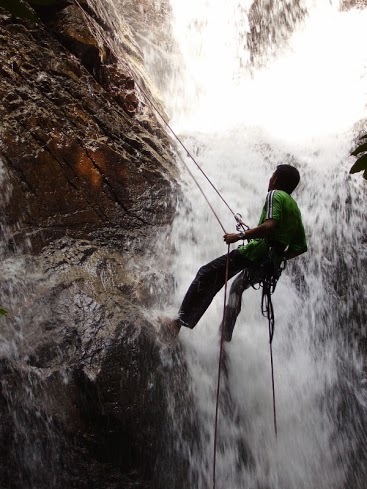 Some of them even ask for twice 🙂 Canyoneering is actually abseiling activity at waterfall. Sorry to make you waited for the pictures. Some pictures are already been uploaded, in my gallery, just didn’t update you guys. Thanks to Fifah, Zul and Tom for the pictures. Netvibes.com – Online RSS reader. For some people, RSS might be a new thing. This would be an introductory article, on how you could use this feature available at most websites. RSS stand for Really Simple Syndicatio, where you can pull out the information from a website, and display it anywhere you want. This is a cool feature, where you can put all pieces of information from all your favourite website into a single page, you can get updated from a single page visit! I would like to introduce Netvibe, an online RSS reader. With Netvibes, you can read RSS feeds from your friend’s blog, myspace, flickr gallery, and also your emails! The easy and simple navigation will never get you lost with it. The contents of your feeds can be split into different tab, where you can add new one with one click, and you can also arrange it with drag and drop. Drag it to anywhere you want. Each RSS feeds also can be moved easily with drag and drop anywhere, even to another tab. Try it now, you’ll have a better way to keep things updated easily. This month surely a great month for some of us. There will be nurse day on 12th May, Mothers day on 13th May and Teachers day on 16th May. All those 3 are people in our society that have played a big role, in our development. In facts, many aspect of our development, especially humanly development. They have put their life in helping, to build up a good community where we live in. This is a good moment where we should appreciate what they have done. It doesn’t mean this is the only time they need to be remembered, but these days are a good day where we should do it together. I symbol of appreciation from us.